Hydrogen Mobility Europe (H2ME) is an ambitious multi-country, multi-partner project to demonstrate that hydrogen can support Europe’s future transport demands. 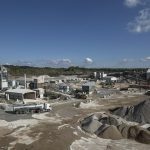 The €170 million demonstration project is co-funded with €67 million from the Fuel Cells and Hydrogen Joint Undertaking (FCH JU), a public-private partnership supporting fuel cell and hydrogen energy technologies in Europe. H2ME is the largest-scale project of its kind, and aims to perform large-scale market tests of hydrogen refuelling infrastructure; deploy passenger and commercial fuel cell electric vehicles operated in real-world customer applications; and demonstrate the system benefits generated by using electrolytic hydrogen solutions in grid operations. Open Energi is participating in the project to test the ability of electrolysers at Hydrogen Refuelling Stations to help balance electricity grids in real-time. The expectation is that the electrolysers could provide incredibly fast response and compete with the fastest forms of grid balancing available today. 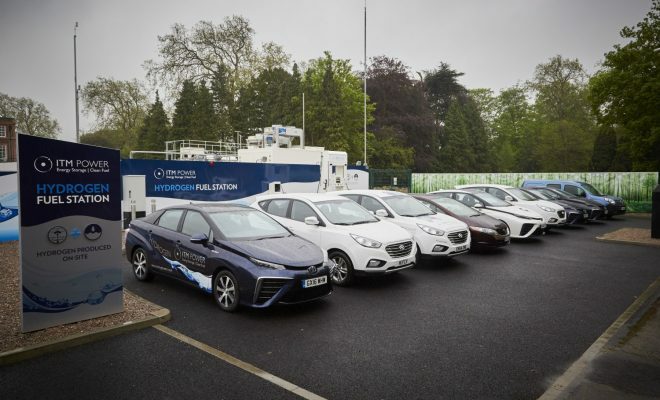 In February this year, H2ME announced that it had deployed its first 100 fuel cell electric vehicles (FCEVs) on the road in Germany, France and the UK, to address the actions required to make the hydrogen mobility sector truly ready for market. Sixty of Symbio’s Renault Kangoo ZE-H2 range-extended fuel cell vans have been deployed in the UK and France, supporting the development of a network of hydrogen refuelling stations in those markets. Powered by a compact 5 kW fuel cell module, coupled with a hydrogen storage unit and medium-size automotive battery pack, Symbio’s range-extender kit doubles the range of Renault’s electric-only Kangoo ZE model to 320 Km. The new vehicles offer the potential of a new generation of fuel-efficient, zero-emission vehicles. In the coming years, the H2ME project will deploy partners’ next-generation FCEVs, including: Symbio’s next-generation FC RE-EV (Fuel Cell Range Extender Electric Vehicle) vans and Symbio Fuel Cell range-extended trucks; Honda’s second-generation FCEV; and Daimler’s next-generation Mercedes-Benz GLC F-CELL, which includes the additional energy source of a large lithium-ion battery and will feature external charging by plug-in technology for the first time. In total, more than 1,400 FCEVs will be deployed as part of the H2ME project throughout the UK, France, Germany, the Netherlands and Scandinavia. The aim is to increase the number of FCEVs operating on Europe’s roads to build on the strong networks of hydrogen refuelling stations created by H2ME and other initiatives across the EU.